One look at the crowded mid-Atlantic and northeast corridor and you have quite the contrast with the wide open spaces of the western U.S. From DC up through Boston, the concentration of people is directly affected by climate change, residential and commercial development, and pollution. 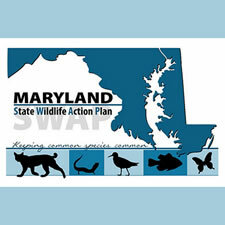 These are significant threats to wildlife conservation that the state of Maryland intends to do something about in a new 10-year action plan being released this month. Added to the existing threats to wildlife is now hydraulic fracturing which could begin happening as early as October 2017. The 10-year action plan includes one hundred and eight wildlife species, with birds making up some 25% of the species. 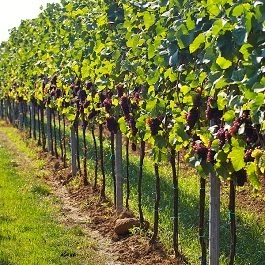 David Curson, director of Audubon of Maryland, says it’s going to take more than the Department of Natural Resources and its work to achieve desired results. The citizenry needs to contribute too. Volunteerism is vital to this program’s success. “One of the points of this plan is that we can no longer depend upon a government agency like the Department of Natural Resources to fulfill all of the conservation needs because the funding just isn’t there,” says Curson. The purpose of the 10-year plan is simple—prevent the decimation of wildlife species. And to there credit, Maryland lawmakers have been proactive in providing leadership in this direction.